Fruition of energetic seeds implanted in Gaia grid structures occurs in short order. Removal of oppositional energetic seeds and accompanying entanglements nears completion. Forces of Higher Dimensional Light flow effortlessly through current energetic undulations on Gaia surface. Impactful renderings of shadow structures occurs at each now moment, within each hu- and Hue-being, as well as within all group structures. Veracity of “Light Guidance” rapidly becomes validated for all Gaia participants. Gaia energetic alignments progress to unprecedented levels, not yet experienced on planetary scale. Angular incomings to Gaia are increasing in intensity and maximize opportunities for hu-manity to Hue-manity transformation. Stellar and Galactic alignments support all such transformative processes, and establish new foundations for Gaia evolution. Iridescents Im-body Gaia global as planetary In-Lightening has resulted in clearance of all major shadow unbalance points. Forces of Light have proceeded with Love-imbuement operations needed in this moment. Harmonization of all Ascension Portals nears completion. Participants are to be acknowledged and appreciated. Gaia grid cleansing proceeds with fullest possible velocity at this moment. Iridescent blue fires cleanse and activate all dormant portal locations. 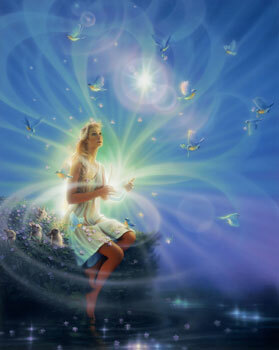 Independent Gaia Being shines with unprecedented Brilliance as Hue-manity collective coordinates with Soul-ar Essence. Surfers of Higher Dimensional Cosmic Waves inspire and collect increasingly more conscious humanity individuals. Full release of all inner entrapmens nears completion. Celebration at all levels is in progress. Presentation of Gaia Energetics requires Hu-manity vision upgrades, which are currently in progress. Succeeding steps in Gaia ascension process follow higher aligned energetics of Nova Gaia, utilizing upgraded Hu-manity vision. Current Gaia energetics request precision in intention by Hu-manity. Blue Star lines supplant previous Gaia grid structures.